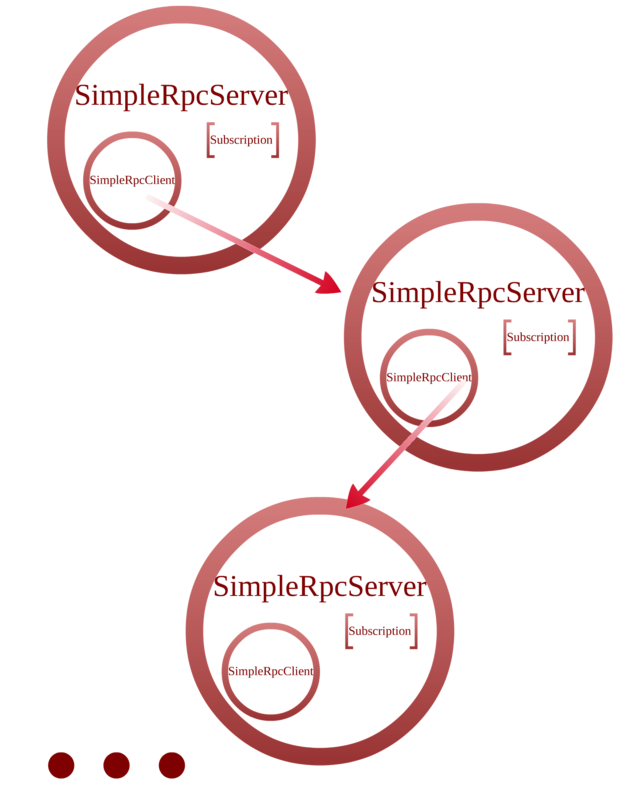 In my last post “A trivial message loop using RabbitMQ in C#.NET” I demonstrated a simple concept of a circular message queue using RabbitMQ. I chose not to complicate the post with explaining some fundamentals of RabbitMQ leaving that for this post. As of writing the version of RabbitMQ I am using is 2.4.1. Some of the concepts I introduced in the last post were, and I’ll break them down in a hopefully a logical flow as steps to take. First if you’re looking to get setup on Windows head on over to the RabbitMQ official documentation and follow the steps. Also before you continue reading I urge you to go have a look at Mike Hadlow’s EasyNeqQ API and accompanying blog posts. I am using ConnectionFactory with a local machine address to create the connection the client and server will use to build the next required component. Using the connection create a model this is used to configure the rest of details on how communication will take place between the client and server. This is my own helper extension method to help perform a few tasks; creating a queueId, using that queueId to declare a queue on the model, and then bind the queue and exchange together, finally returning the newly created queueName. Creating the client is just as simple, and we’re ready to send a message. The Cast() method on the SimpleRpcClient is the asynchronous way to send a message, I want to keep this post more straight forward so I am excluding the message class and how to serialize it but those steps are very basic. This is where things start to get a little more involved, but it’s relatively straight forward. 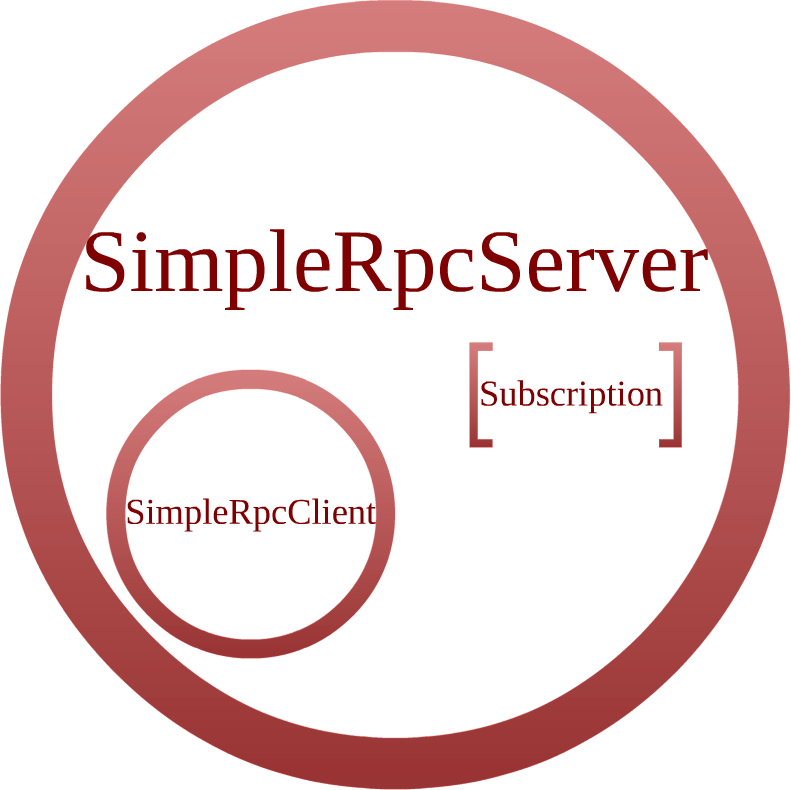 In this approach I create my own RpcServer that extends SimpleRpcServer. All I do now is override the method that handles asynchronous messages (it also needs to de-serialize the content form byte body). Just to follow along from my sample application the server also has a client private member so it can continue to forward a modified message on wards. Using the Task Parallel Library create a Task that kicks off another method of the RpcServer – MainLoop(). MainLoop simply sits there (blocks) and accepts incoming messages, each time an asynchronous arrives HandleSimpleCast will fire and the message will be processed. Hope this is easy to follow. During the May 2011 meeting of the Melbourne ALT.NET group, 3 presenters each with their chosen functional language tackled a basic problem of transmitting a message along a chain, with the objective of all nodes contributing to a final output. Here’s some of their code in the the languages of; Erlang, Scala and F#. As an introductory post to RabbitMQ for my blog I thought I would cover how you go about setting up a simple RabbitMQ server-client in an asynchronous fashion. In this post I’m only going to cover the abstract concept and introduce some terms, I’ll go into more specific detail in another post as to the technical details of using RabbitMQ. I presented this concept as a very quick 10 minute lightning talk at DDD Melbourne 2011. So stay tuned for more RabbitMQ based posts (links will appear here when they’re complete). Then that node sends it off, and so on looping for M number of messages. My RabbitMQ and C# based solution (simplest version), this list will contain some RabbitMQ specific concepts that I’ll describe later in the post. This is the algorithm to create, wire up and kick off processing. Create the N clients SimpleRpcClient. Keep a reference to the 1st client, this is what we use to begin messaging. Create N SimpleRpcServer elements these are the actual nodes. Create a new Threading.Tasks.Task() for each node. To complete the loop, wire up the first client, to the last node. Each node, houses a client to continue on sending the message. The code above had been simplified a bit more just to demonstrate the concept, please review the project code for further intricacies in it how it needs to operate. *Note: you’ll have to excuse some of the roughness of the code as it stands at 29th of May, I haven’t had a chance to refactor it to be more elegant. Also check back I may have completed a Prezi on the subject. Since I put “Legacy” in the post title to begin with, I would like to share some quotes from the often quoted Michael Feathers author of Working Effectively with Legacy Code. If you haven’t read it, you should – it comes highly recommended by many developers including Scott Hanselman on this Hanselminutes episode. But full disclosure I myself have only read a few random sections of it here and there. What do you think about when you hear the term legacy code? If you are at all like me, you think of tangled, unintelligible structure, code that you have to change but don’t really understand. You think of sleepless nights trying to add in features that should be easy to add, and you think of demoralization, the sense that everyone on the team is so sick of a code base that it seems beyond care, the sort of code that you just wish would die. In the industry, legacy code is often used as a slang term for difficult-to-change code that we don’t understand. Code without tests is bad code. It doesn’t matter how well written it is; it doesn’t matter how pretty or object-oriented or well-encapsulated it is. With tests, we can change the behavior of our code quickly and verifiably. Without them, we really don’t know if our code is getting better or worse. At my current place of employment we have a flagship application that was originally built using ASP.NET 1.1. Then slowly migrated to .NET framework 2.0 and then immediately converted for .NET framework 3.5. That task itself was not trivial, and now there is a new challenge to make the code more maintainable. Hanselman makes a good point even though I paraphrased so it’s a more general statement. This applies to the application I’m working on improving. The application was in fact working “fine” in its .NET 1.1 form, but making changes/improvements was difficult. When I say difficult in this case I, in particular mean for new developers not familiar with the code base and application. Being the newest developer to work on this, I wanted the code base to improve so we could all make changes and improvements with confidence going forward. This is the first in yet another series of posts from me. This series will focus on how we’ve gone about undertaking this migration. I’ll attempt to make each post stand reasonably alone to demonstrate migrating a specific application component from Web Forms to the Model-View-Presenter (MVP) pattern and in particular the Web Forms MVP framework. Separation of concerns – through the use of the Model View Presenter pattern. This takes us in a direction of improved Testability. Refactor and consolidate program logic into re-usable components. Re-structure the application into a more understandable pattern, hence the desire for MVP and in particular Web Forms MVP. Test Driven Development (TDD) and Test Driven Design. Web Forms by design does not lend itself to achieving all the objectives listed above and it is hoped that the use of the Web Forms MVP framework will take us down a better path. I say this with full understanding that there is no such thing as a Silver Bullet in software development, and that the adoption of a pattern and a supporting framework are just steps we are taking. The ASP.NET Web Forms MVP project is about bringing the love back to Web Forms through a renewed approach to using it – an approach that facilitates separation of concerns and testability whilst maintaining the rapid development that Web Forms was built to deliver. The choice to use Web Forms MVP as the framework to help us achieve the MVP pattern in our application, comes from the knowledge of successful implementations by Readify on large scale sites such as Grays Online. Along with an active community of developers working on the framework and its acceptance into the CodePlex Foundation. Now that we’ve got the background and I’ve publicly committed to “better code” and “testable code”, the next post in this series will be about moving your OnLoad & Page_Load methods out of your code-behind files and some of the challenges. A small list of Melbourne, Australia .NET and related User Groups. I had a very busy week just past with various User Groups, I thought it would be handy for myself and possibly others to make a list, this by no means is an exclusive list, and I hope to expand it with others as I discover them. It’s great to catch up with fellow developers, to share what you’re currently working on in your day job, what you’re working on at home, or even what those potential “when I get some time” ideas. With all of us sharing our development frustrations on twitter when we get stuck, it’s great to meet those who offer those helpful suggestions and even those who poke fun at the problem to lighten up your day it’s great to meet and catch up in person. If you’re not already attending a user group, I strongly advise you to make some time at least every few months to attend and interact with like-minded developers. My apologies upfront if I have missed any that should be on here, let me know (leave a comment, @twitter me) and I’ll update. These groups have been around for a while and are well known. Victoria.NET – Various .NET presentations. On average every 6-10 weeks, key contact: @MaheshKrishnan meetings at Microsoft offices in Freshwater place. Silverlight Designer Developer Network (SDDN) – Silverlight, UX, and Design. On average every 6-8 weeks, key contact: @Jakkaj meetings at Microsoft offices in Freshwater place. SQL PASS – Microsoft SQL Server related topics. On average every 4 – 5 weeks, key contact email point: info at sqldownunder dot com. These groups are relatively new, and may not yet be well known. xRM – Microsoft CRM related, newly started, key contact: @Ceibner, this is a new group, I haven’t had the pleasure myself to attend yet. Doing .NET Days, this is also a new group having their second meeting in March ’10, the kick off focus revolves around the nServiceBus. This is a weekend event on Saturdays in Melbourne’s West. Key contact: @SimonSegal. Dev Evening, again another recently formed group, which I plan to attend. They are run in Richmond during weekday evenings. On average every 4 – 6 weeks, key contact @alexjmackey. Melbourne ALT.NET, starting on 28th April 2010, held on the last Wednesday of the month, key contact @abienert (see my event summary post for more details). These groups are not focussed on .NET, but sometimes cover .NET topics. Melbourne Patterns & Practices Group; Discussion about general software design practices, and their practical application in software development, key contact: @ChrisBushellOz. Melbourne X User Group; very wide ranging software and technology topics. Side Note: “That’s Me!lbourne” is a (as of 2009-2010) promotional branding for The City of Melbourne. Update: For an extensive list of a lot of Melbourne, software/tech related user group meetings check out Geoff Burns’ blog where he has a google calendar widget, this is very useful. These evening (23 Feb 2010) I attended a Melbourne .NET session presented by David Lemphers who’s the Senior Program Manager on the Windows Azure team. David presented an introductory level discussion how Azure works; we were run through the basics of setting up a hello world application. Running it locally on a simulated cloud, side note here is currently a simulated cloud can only be accessed on a single developer machine – meaning you can’t yet host a simulation cloud as a networked machine to test your application. Such a feature should be coming in the future. We also got taken through what it takes to push it up to the real cloud. The walk through continued to cover how the Azure system works, with Roles; a web-role representing IIS in the cloud and worker-role representing a windows-service in the cloud. Storage Accounts representing containers for data, message queues and blobs. 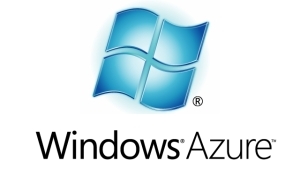 Windows Azure is a cloud services operating system that serves as the development, service hosting and service management environment for the Windows Azure platform. Windows Azure provides developers with on-demand compute and storage to host, scale, and manage web applications on the internet through Microsoft datacentres. Now that just means it’s supposed to be easier to get your applications hosted up servers you don’t need to own or administer for a fee. From what I have seen so far, it is in fact simple in terms of developer difficulty, but there’s a whole host of other considerations before pushing up a business critical application up into the cloud. A quick list of concerns would begin with; security, availability, privacy and confidentiality, but that’s a discussion I would rather not kick off here at least not right now. There was a brief discussion of load handling and scaling in terms of pricing, so I asked an AllYourClouds.com question about it here. Along with a mention of a possible programmatic control of active instances, but probably only within the range of what’s already part of the billing plan. From an Australian perspective the Windows Azure service is lacking for the moment, with prices significantly more expensive in the Asia data-centres , that combined with no locally (Australia) based datacentres available. The lack of on Australian soil datacentres ties back to concerns of certain types of data being able to be stored up in the cloud. Microsoft is dogfooding the Azure platform with the billing system for Azure. Also services like Sea Dragon the Deep Zoom tech use a similar approach as Azure’s core functionality. You currently cannot run .NET 4 Framework applications on Azure, will be available when it reaches RTM. Expecting a 6 month release cycle, with road map coming soon. Data caching and concurrency is still a problem to be solved in development, example suggestion for caching is memcached. Coming up Melbourne Cloud Code Camp April 1st 2010. David Burela reminded us of the April Cloud Camp. Mahesh reminded us of the Silverlight Code Camp weekend end of January. I’m confirmed to be attending this. Command Query Responsibility Segregation, presented by Udi Dahan that I discuss in greater detail here [link coming soon]. Areas are useful in particular the ability to have them in a separate project (though that’s currently not functional in the RC). MSDN Link. Validation re-use, in conjunction with Dynamic Data. Other miscellanous improvements, such as shorter AcceptVerbs; Get/Post. Last night Wednesday 2nd of December I attended a presentation at the Melbourne Patterns & Practices User Group. After the Gang of Four pattern discussion (which was Chain of Responsibility) was a presentation on .NET Code Contracts. Code Contracts are a Microsoft Labs Research project, that now has a beta release. Code Contracts provide a language-agnostic way to express coding assumptions in .NET programs. The contracts take the form of preconditions, postconditions, and object invariants. At their simplest level of application in a code base Code Contracts will help group guard conditions for functions, and also easily support exit guard conditions when a public method completes. Compile time contract validation and error(/warning) output. Runtime contract validation and exceptions thrown. Toggling the contracts per assembly [Full / Pre & Post / Pre / ReleaseRequires / None]. Inheritance of contracts, even from interfaces. Outputting documentation from the contracts, for accurate reflection of the state of the code. Code Contracts – TDD by Matthew Podwysocki. Thoughts on Code Contracts by K. Scott Allen. 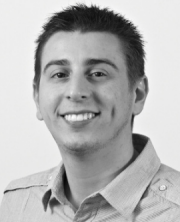 The PDC09 session – Code Contracts and Pex: Power Charge Your Assertions and Unit Tests. The user documentation [pdf] from the Microsoft Labs project site.